While gaming, a programmable keyboard can give you just the advantage you need over your competition. In this post we’ll review the best gaming keyboards and how to choose one for your particular needs. 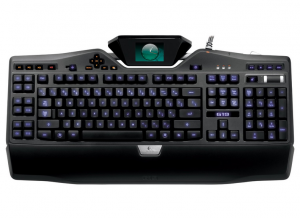 We’ll also compare the prices and specifications of today’s most popular programmable gaming keyboards. Many people use this term in the wrong way when speaking about keyboards. Being a Mechanical keyboard simply means that it includes a switch methodology that allows your keys to register before they are pushed all of the way down. This is different than keyboards that have rubber inserts under them as those generally require the user to press the key all the way down. For gamers, a programmable keyboard can be especially important as it can result in quicker actions and therefore better gaming. Some “gaming keyboards” come with many programmable buttons. This may be more important for MMORPG users than first person shooter games where precision shooting is involved. Programmable buttons are also available on some gaming mice, so take that into consideration when considering how many programmable buttons you want on your gaming keyboard. Sometimes the best time to game is at night. Having a backlit keyboard, possibly with custom colors, can help to keep your senses tuned when playing at night. If you’re willing to fork over a few extra bucks, then you can get a keyboard with a LCD display that provides states and the latest information while gaming. Professional gamers find that it helps them to tune their game as they are able to monitor their stats and really try out what works better. More casual gamers may find that it just gives them the stats that they want to know when they want to know it. More popular games are generally “stat-ready” and when you aren’t using it for stats you can use it for video playback. About: GamingReviewGuide.com provides the latest information on computer hardware and gaming. If you enjoyed this article on the best gaming keyboards, then consider supporting us by visiting our other hardware reviews and articles.